There has been even more traffic talk than usual in Galway this week with the announcement that the €600 million budget has been released for Galway’s ring road. The announcement has been met with mixed reactions, but I think one thing we can all agree on is that this latest development is part of, but not the complete, solution to Galway’s traffic problems. As well as top-down, policy-driven solutions, we as drivers should also review our commuting habits. And this is why we have launched Galway’s second Mindful Commute. And the idea is simple… On Wednesday, October 17th we’re encouraging the people of Galway to cycle, walk, carpool or use public transport to reduce the number of single occupancy cars on the road. So oil up your bike, get a carpool going or do a Walking Train to school. We can all play our part, so get planning how you can join the Mindful Commute on October 17th and remember to register for the Facebook event for ideas & tips, to see how your fellow commuters are getting on and to let them know how you’re Mindful Commuting. This event is being organised by Carrie Budds from Carrie Small Plate Health & Fitness and is driven from a personal desire to have fewer cars on the road at commuter times. 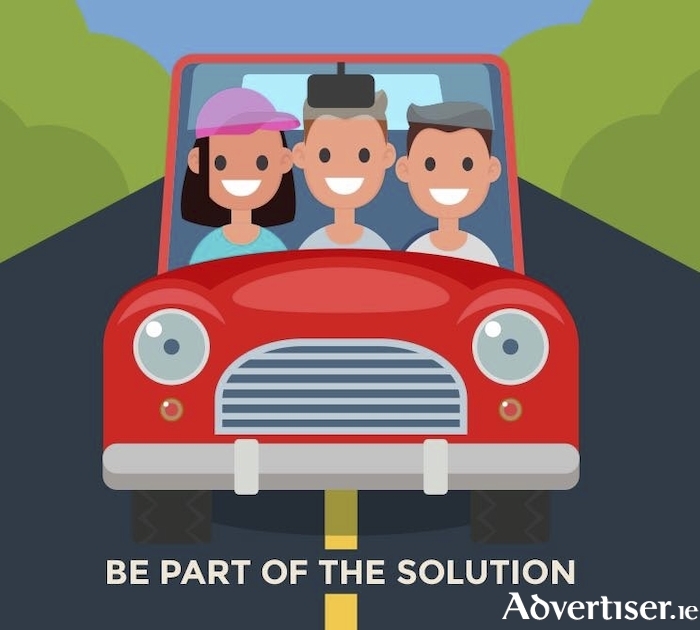 The motivation is to try and have fewer single-occupancy cars on the road, even just for one day, to see what impact the people of Galway can have on the traffic situation – which is one of the biggest current concerns affecting the people living, working and visiting Galway. As someone who regularly cycles to work, I can tell the difference in my stress and energy levels compared to the days I drive. And I don’t want to sit in my car, silently seething as I sit in traffic lights for 20 minutes when I know there’s some alternative. We all know that there are initiatives going on at a local, council and national level. And although we have an influence on who runs our council or county, we can’t control how these initiatives are run, or how long they will take. But what we can control is our actions and how we can play a simple but significant part in making our daily lives & commute a little less stressful, and a little more friendly to the environment.